During the preparations for our trip, I was enthused to find out about the Yellow Church of Riga. It quickly became clear that after visiting the Blue Church in Bratislava, we had to also go see the Yellow Church. 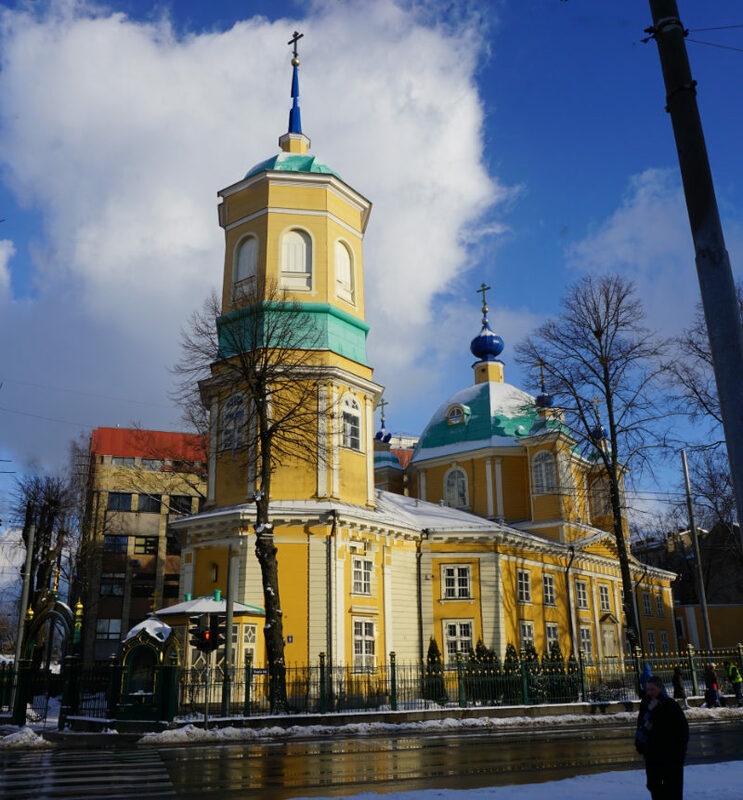 The Yellow Church in Riga is an orthodox church that is very much loved by the local population. Services are held every day. The services are frequented by believers of different confessions and tourists alike. The church became a symbol for interconfessional worshipping, inter-personal and international unity. The religious Prince Alexander Newski had his orthodox, wooden church built as a rotunda. A rotunda has a round layout and is frequently roofed by a dome. The building was completed in 1825 and expended in 1865 by adding an additional tower. Construction was financed by private donors and the best local carpenters were involved in the building process. The interior is characterised by icons and artwork. During Russian times in Riga, the Yellow Church of Prince Alexander Newski was actually still used as a church, unlike other churches in the city. This architectural monument is in the centre of Riga’s Old Town, next to Stalin’s birthday cake.